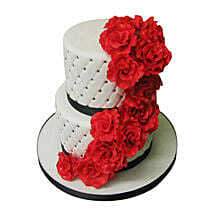 Designer cakes are our pride and joy at Ferns N Petals. 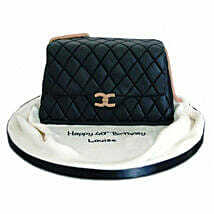 We also offer cartoon cakes and personalised photo cakes. The Kicking Po cake is for Kung Fu fans. 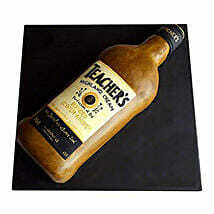 This cake is available in 2 Kilograms and arrives in 4 flavours namely Chocolate, Butterscotch, Pineapple and Vanilla. The mouth-watering batman cake from Ferns N Petals is any little boy's fantasy. 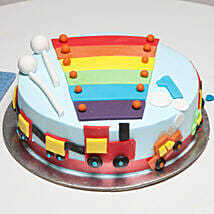 You can order this sumptuous cake for your little ones in a variety of flavours that come in the package of 2 Kilograms. The Barbie cake is designed to thrill young girls. It will take your birthday celebrations by storm. It is the perfect offering to make your darling daughter feel special on her birthday. 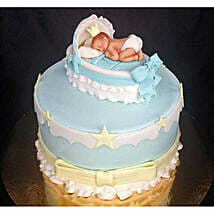 The cake is available in different flavours that can leave you asking for more. The Canon flashy camera cake is very artistic. 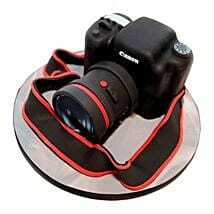 If photography is the passion of your loved ones, go for this special cake. 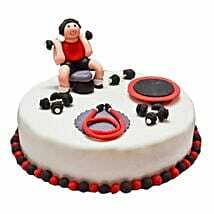 The cake comes in different lip-smacking flavours that can make you gorge on these yummy cakes in a guilt-free manner. The golf car cake is trendy and sophisticated. It is just right for the diehard golf lover. 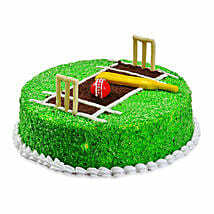 The cake comes in different flavours and is very sought after item in our online cake portal. Avail our domestic and international online delivery services to get the timely cake delivery at your desired place. We will deliver your orders on time and in pristine condition. Pumping that extra creativity that comes up with something fascinating which nobody else would have ever thought of in terms of these designer Cakes. If you want to surprise your loved ones with a cake which is going to be an absolute show stealer then these designer cakes will be the best pick for you. Celebrate your occasions like birthday, anniversary and Valentine with special designer cakes for your loved ones as valentine gifts and leave them with unforgettable memories. 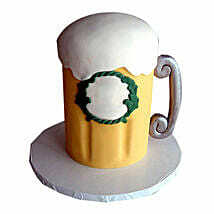 Special expertise has been put into cake designing that has come up with some of the striking cake designs. 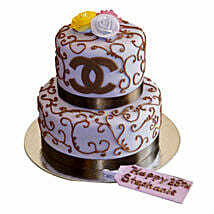 Order personalised cakes online to gift a perennial smile of joy and amazement for the special occasion. These designer cakes are available in multiple flavours such as chocolate, pineapple, red velvet, butterscotch, black forest, vanilla and others for online delivery to customers. You just have to choose a design which you know that your loved ones will love and we will illustrate it for you. 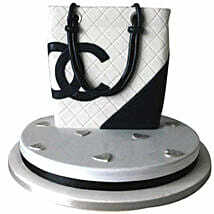 You can send designer cakes online to Delhi, Mumbai, Chennai, Hyderabad, Bangalore and much more such cities. With our strong logistical support, we have also extended our reach to many international countries like USA, UAE, Singapore, Australia too. 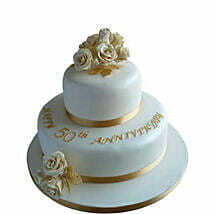 Timely delivery of all our cakes makes us the most preferred brand for all our customers. You can also avail our flexible delivery options which give delivery convenience to our customers. Gift them an unforgettable experience for any given occasion.